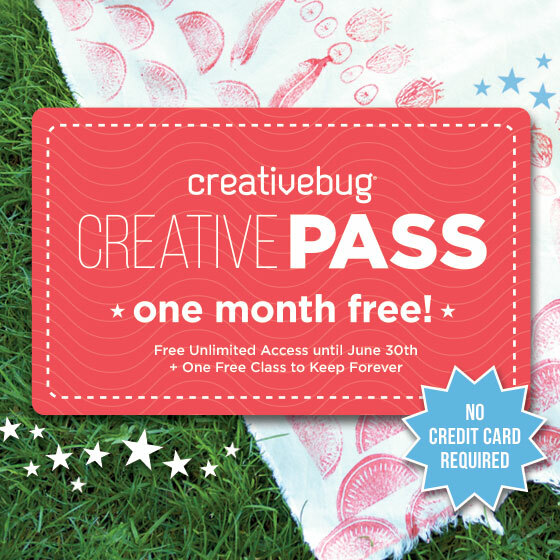 As I'm busy with family things today, I'm just dropping in with an affiliate special offer for you - grab a one month free pass to Creativebug including one class to keep forever - there are some awesome classes and I think you'll love it as much as I do. Click on the image below and then use the code SUMMER2015. Have a fun bank holiday. We're starting to pack today. Still no knitting mojo but I'm glad to be inspired to blog now and then.